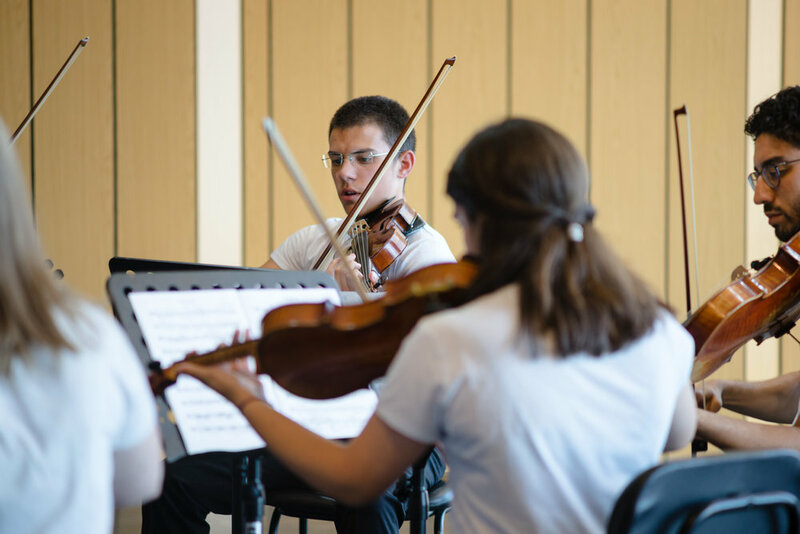 Set in the scenic mountain region of northern Portugal, the Bendada Music Festival offers a unique combination of daily individual instrumental lessons, chamber music coachings, and performance opportunities. 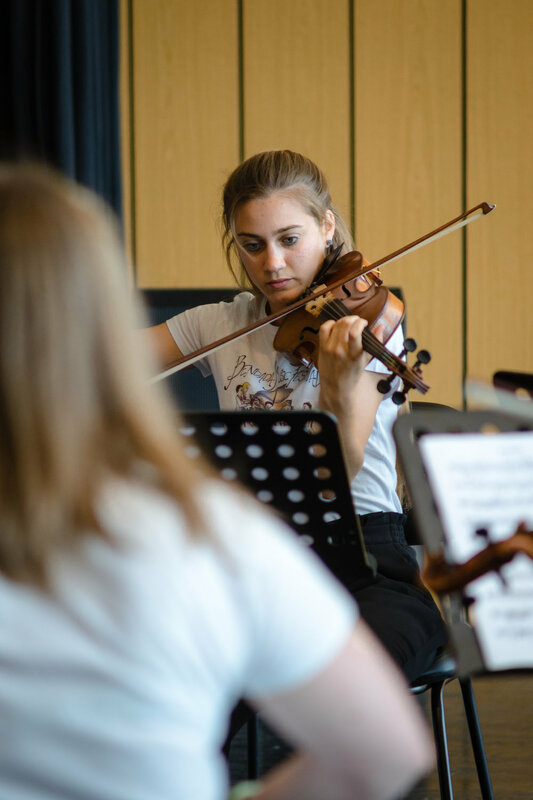 Each day is filled with electives, such as choir, music theory, composition, and improvisation workshops, which provide the students with an immersive and inspiring musical experience. 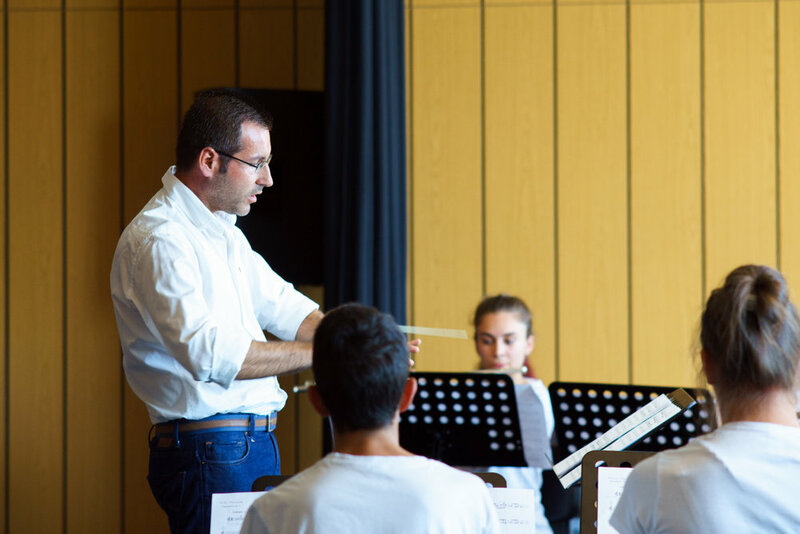 In addition to the final gala concert, students are invited to perform daily concerts in picturesque venues and concert halls across the region, where teachers and students perform together onstage. Between lessons, workshops, rehearsals, and concerts, the Festival also includes outings to the surrounding areas such as Sortelha, Belmonte, and Sabugal, where centuries-old castles tower inconspicuously over the hubbub of everyday life. Visits to museums and outdoor recreational activities offer students the ideal opportunity to relax while appreciating the local culture and breathtaking landscapes. The festival is enthusiastically supported by the population of Bendada. Each year, they welcome the international music community with warm hearts and open arms, excited to share their love for their village with the guests of the Bendada Music Festival. The local residents serve as the main pulse for the festival, hosting Festival participants in their homes, singing in the festival adult choir, and showing up in droves for the student and faculty performances. In a world where the audience for classical music is dwindling, students at the Bendada Music Festival will have the refreshing and inspiring opportunity to perform for an audience that values and appreciates their craft with exuberance and enthusiasm. At its core, the Bendada Music Festival is a place where serious musical instruction meets cultural immersion and light-hearted fun, all in a relaxing and supportive environment that allows students to grow as musicians and human beings. The festival will take place July 13 - 21, 2019 in Bendada, Portugal. Lessons and rehearsals will be in Casa da Música, a newly built state-of-the-art music school with soundproof practice rooms and a beautiful glass-wall concert hall overlooking the scenic valley. Additional practice space will be available in nearby music schools. The festival welcomes students from ages 14 to 24. Produced by Jason Kimball and Devin Hahn for BU Today and Bostonia (Boston University’s magazine and online newspaper). The festival offers individual lessons in Piano, Violin, Viola, Cello, Clarinet, Flute, Guitar, and Voice. Elective activities include: choir, keyboard harmony, improvisation workshop, and orchestration. For more information on faculty, please visit our faculty page.